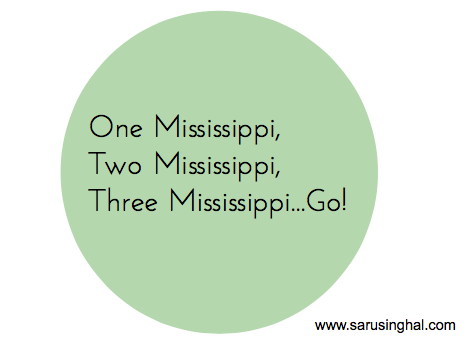 One Mississippi, Two Mississippi, Three Mississippi...Go! This was just the dose I needed! :) Thanks for writing this one! Interesting! Quite different than how you usually write. Lovely inspiring verse Saru:) Nice way to begin a new day! Polish your deeds, separating golden from brass"
Very inspiring lines Saru, so true! All we need is a will power and belief in ourselves to get up, rise, shine and make our life a lot more meaningful. Saru, I have tagged you here for a BlogAdda's contest. I hope you will acknowledge. The ending quote takes the cake. Wonderful! Your 'Words' leave an impact, every single time! This repetition makes the poem like a song. loved the essence of it. I loved the lyrical attributed behind this piece. Lovely flow! Inspiring lines...and rythmic ....Lovely poem. Cheers ! Keep them coming ! very inspiring and inspirational. Lovely poem. Best write up and everyone must read it. Interesting and inspiring words. Thanks for sharing. Ohh! How long I had to scroll down to get my turn! That says it all! It is so much inspiring! Wow! Saru, that was really inspiring. It somehow reminded me of poems we would read in class 4 n 5. The climactic lines wer really good. Yes ...a little push works miracles at times ....nice lines ....!! I can't believe I almost missed reading this one! Amazing...Inspiring! !